Specialist areas: French taxes, French inheritance planning, wealth management, pensions. 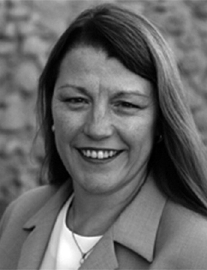 Daphne began her career in UK based Financial Services in 1975 before relocating to The European Central Bank in Frankfurt in 1998, where she was responsible for advising staff from all States of the European Union on the subject of retirement planning. Since relocating to France in 2008, she has been providing financial planning advice to many clients based here in France. Daphne has detailed knowledge of tax-efficient structures that can assist in asset building, asset protection and, ultimately, retirement and estate planning. Daphne holds the Chartered Institute of Insurers Financial Planning Certificate and Advanced Financial Planning Certificates in “Pensions” and “Taxation and Trusts”. Daphne is also an Associate of the Pensions Management Institute (PMI).